POLICE are keen to interview nine political persons in connection with the disturbance that left six dead and burning of vehicles in the capital last week. The nine Tendai Biti, Happymore Chidziva, Morgan Komichi, Jim Kunaka, Paddington Japajapa, Mafaiti Mubaiwa, Jeff Tafadzwa Chaitezvi, Lovejoy Chitengu and Chamunorwa Madya are on the list of persons sought after by police. Criminal Investigations Department spokesperson, Detective Inspector Portia Chinho confirmed the list urging the suspects to report to police law and order department. "The nine suspects are wanted by police for contravening Section 37 of the Criminal Law Codification and Reform Act, Chapter 9:23," said Detective Inspector Chinho. "That is participating in a gathering with intent to promote public violence, breaches of the peace or bigotry," she said. Police reiterated few days before the harmonized elections that its intelligence had gathered facts that some political parties have deployed groups of people to certain parts of the country with the view of carrying out these unlawful attacks urging them to follow proper procedures to air their concerns or to approach courts instead of resorting to violence. Men, among them street kids were caught on camera holding stones, knobkerries and iron bars and torching vehicles last Wednesday. "The MDC Alliance position: we will not accept any result other than ours because the people have spoken, you have seen our rallies . . . so if they cheat us THEY WILL HAVE TO KILL US ON THE STREETS . 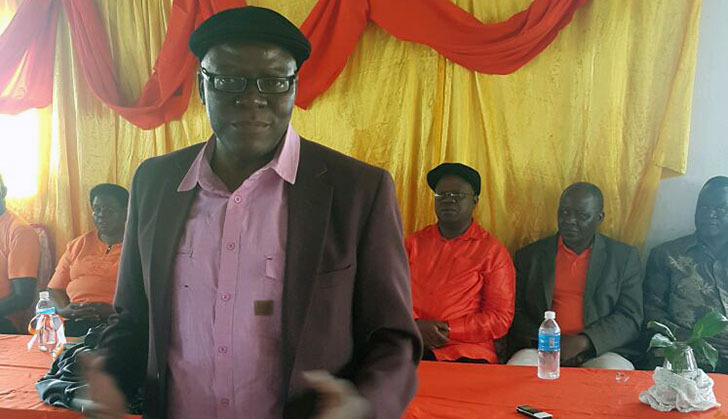 . ." the video of Biti saying this went viral on social media platforms. Paddington Japajapa followed that up with a video where he made threats outside the ZEC command centre also trending on social media. Below is Paddington Japajapa's statement in full . . .
"If people come to rallies it means they appreciate the candidate, you cannot follow a candidate whom you cannot vote for. So we are saying all those people who were coming for example in Mkoba the Stadium was full to capacity with more than 45 000 people. In Mutare I attended, in Masvingo I attended. Chamisa was pulling more than 30- 40 000 and now we are seeing a different scenario altogether. So we are saying, as people of Zimbabwe, this is a watershed election it's a do or die we are not going to accept this rubbish. ZEC must do the right thing by announcing the proper results. Failure to do this as a leader of a Civic organisation I am going to call for chaos in this country, we are not concerned about the consequences, we want the right thing to be done. "And we are going to have an audit of this election and if there are any irregularities I am sorry as civic society organisations we are not going to accept this rubbish. "Uchingoona kubvira pane seven announced aya unotoona kuti maelections aya akutobirirrwa kare, manyepo aya…"